On all days of the week, we offer an excellent lunch buffet - with the weekends being reserved for an even greater spread. The food is always fresh and our bread always warm. Our lunch buffet menu offers a variety of items from the dinner menu as well as some delicacies prepared specially for the buffet. 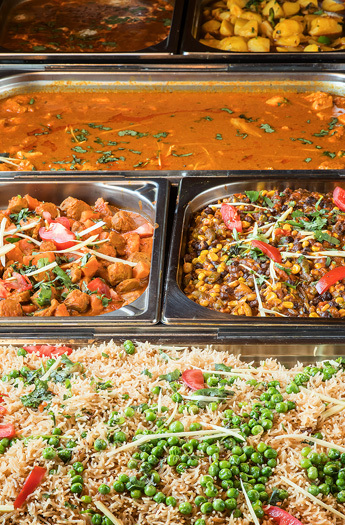 For someone who is new to Indian food, the lunch buffet is a great way to try several dishes and discover the delicious blend of spices offered by Indian cuisine. On the other hand, for the regular patron the lunch buffet has always been, and will continue to be a welcoming place full of delicious favorites ranging from starters to main courses and of course, our desserts.